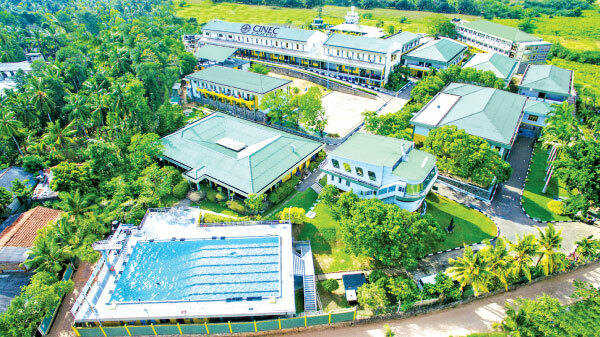 CINEC Campus famous for highly employable and affordable government approved degrees in Sri Lanka offered part scholarships to 80 engineering students under the government interest free Loan scheme through the Ministry of Higher Education of Sri Lanka. As per the recent developments the government has decided to implement an interest free loan scheme for the students who have an interest and dedication to pursue higher studies. An opportunity has been created for the students who have obtained minimum qualifications for university entrance at the G.C.E A/L examination held in the year 2017 (obtained 3 passes in A/L examination) one and the same sitting and not exceeding three sittings and minimum of 30 marks for the common general test, yet did not get a chance for entering into a State University, to follow a degree course at non-state degree awarding institutes accredited by the Ministry of Higher Education. Action will be taken to provide an easy procedure to repay this loan, which is granted to follow degree courses designed suitable for local & international job market opportunities, through relevant banks. CUnder this scheme CINEC will enrol students for the degree programmes in Engineering, Management, Logistics, Tourism and Hospitality, Supply Chain, Marketing, Education and English on the 4th April 2019. CINEC enrol students with GCE A/L examination or any other qualification of comparable standing recognized by UGC of Sri Lanka such as Edexcel/ Cambridge with minimum 3 passes in any stream. In case the student is not successful in the A.L Examination CINEC offers a foundation course, if they have 5 Credits including Mathematics, Science and English in their GCE O/L. After successful completion of the foundation course they can join the international degree program offered by a foreign university.